My two girls were out tonight so I took the opportunity to go to Farnborough with Judith Bunting and another Newbury Lib Dem. 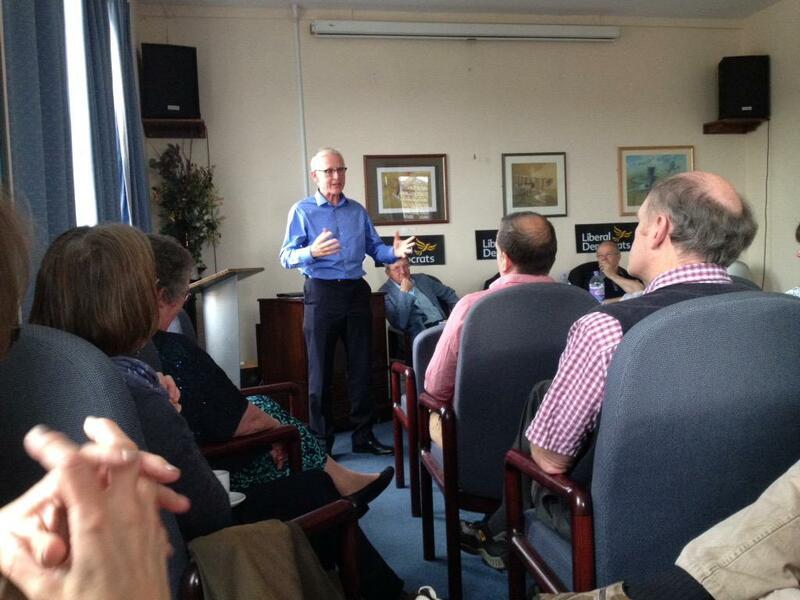 We attended a Norman Lamb evening at Farnborough Air Sciences Trust hosted by Rushmoor local party. And a very nice evening it was too. Norman was very impressive. He started by outlining his passionate beliefs about mental health. 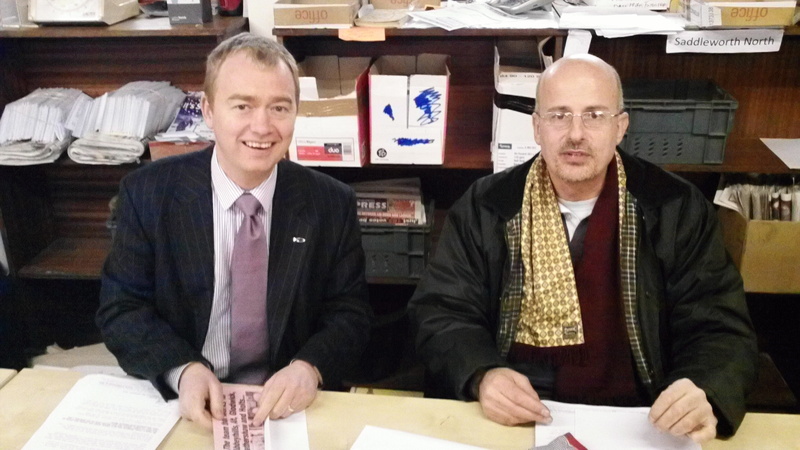 He then talked about a campaign for freedom of information he pursued early in his parliamentary career. This was to obtain, ultimately successfully, details of who Tony Blair, as PM, was meeting at Chequers. Norman then told us about another successful campaign he waged to bring culprits to justice over the BAe Tanzania scandal. Norman then rounded up his speech with a summary of why he is standing for the leadership, based on liberal values. As the first question, I asked him whether we should be preparing to book flights to Lerwick to help in an Orkney and Shetland by-election. Norman was very clear that what Alistair Carmichael did was wrong, and he condemned it. He said that we need to have a fresh start where we put breaches of trust behind us and never repeat them. I was pleasantly surprised that Norman said he disagreed with Malcolm Bruce when he (Bruce) defended Camichael saying that all politicians lie. Norman said that is wrong and that all politicians do not lie and shouldn’t lie. Some lie, but shouldn’t, he said. After listening to this beautifully eloquent maiden speech, I am a Tommy Sheppard fan! We had a great day out yesterday at Hurst spit and castle, which is in Hampshire on the watersedge of the Solent. 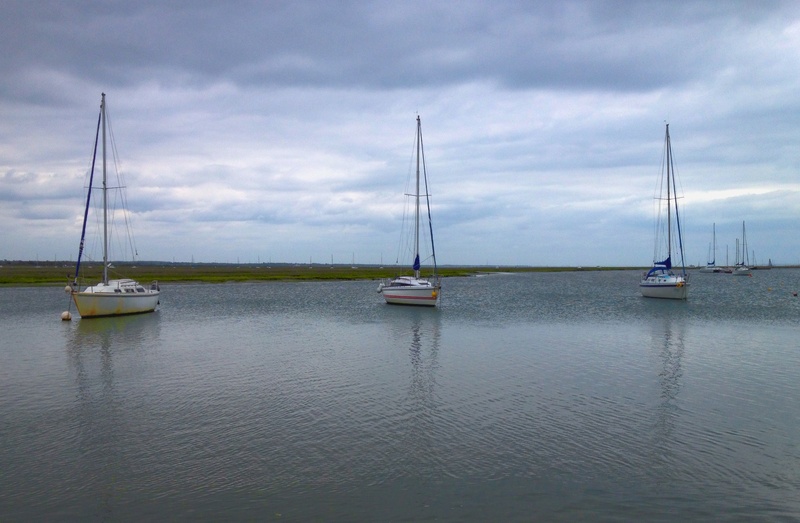 We parked at Keyhaven and walked out to Hurst castle on the spit, having lunch halfway along. It was very windy and the shingle spit certainly absorbs ones’ energy, but it was a great walk. We thoroughly explored the many nooks and cranies of the enormous castle and battlements. What an extraordinary place! And what great views of the Isle of Wight, the Needles and sailing boats jostling inbetween! We finished by getting the little ferry back to Keyhaven. A really great day out! After nine years of blogging I have changed my comments policy. I used to say that I allow any comments as long as they are not potentially defamatory. For most of the time that will continue to be the case, but I reserve the right to reject comments if I just don’t feel like publishing them. The knee-jerk reaction is to call rejection of comments “illiberal” and indeed I used to be of that view (although I never used to buy the moronic line that comment rejection is “censorship”). However, it is part of a liberal society that there are owned units of publication. Book publishers. Newspaper publishers. It is a liberal right of each of those owners to publish what they like in their publications. It is just the same with bloggers. This is my blog and I will publish what I feel like on it. If your comment is not published here there are, of course, millions of places elsewhere where you can publish it. Notwithstanding that, I am very grateful for you for reading this blog and thank you for your comments, most of which will be published. I regard this blog as my personal space. I will therefore publish your comments if I feel like it. If you want to make contrary smart-arse remarks, go and do it somewhere else. This is where I get to be the smart-arse. 37% of the votes cast were for the Tories and they received 51% of the seats in the House of Commons. 24% of the votes cast were for the Lib Dems, the Greens and UKIP, and they received 1.5% of the seats. The SNP received 3% of the votes but 9% of the seats. We are very fortunate to have someone of Tim Farron’s skills available to us as a leader of the Liberal Democrats at this time. We need to rediscover and refocus our liberal values. Tim is a lode star of liberalism. He is a walking, talking embodiment of liberalism. I can trust 100% that in any given situation, if Tim is asked for his view on it, he will give a 100% liberal view – and do it with enormous passion and clarity. Tim is a very honest and sincere person. As has been said, he shakes every hand, answers every tweet, email and direct message. I honestly believe he does so not out of ambition, but because he feels he ought to. That it is his duty to be polite and friendly. So in this desperate situation for the party, we need Tim to re-establish our identity as liberals. That identity has been blurred by five years of compromise in government. 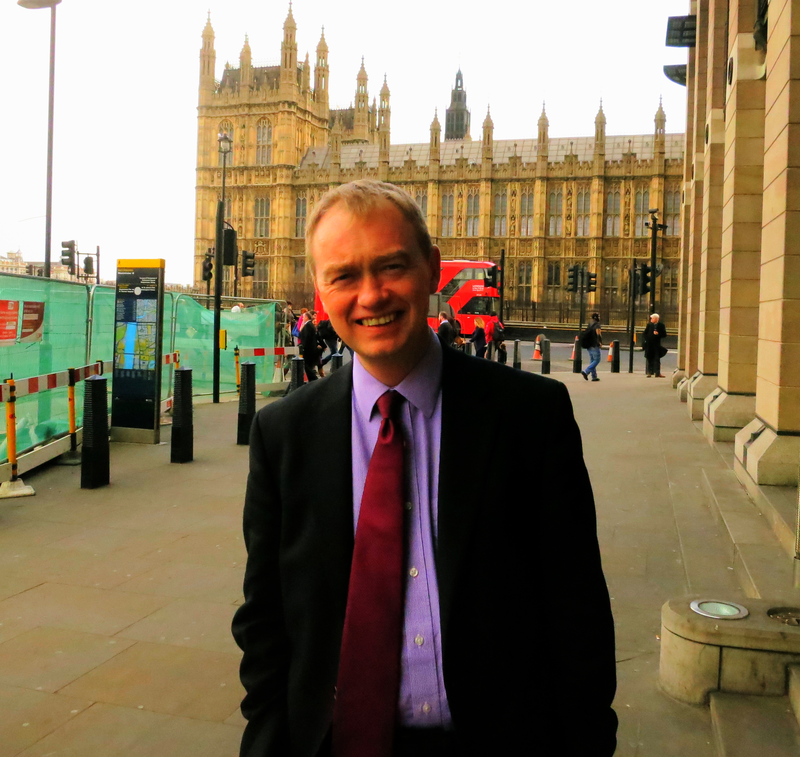 We need Tim to electrify us – as only he can – in the party and non-party members up and down the country with passion for liberalism. Tim reminds me of many of my heroines and heroes in the Liberal Democrats and Liberal party. John Pardoe. Shirley Williams. Jeremy Thorpe. He is precisely the sort of person we need at this time. A rabble rouser. A “march to the sound of gunfire”-type person. Back in 2003, with my family, we were privileged to be invited to one of Gerald Vernon-Jackson’s legendary birthday jaunts. This one was a weekend in Prague. We were fortunate to spend quite a bit of time, during the festivities, with Norman Lamb and his wife. They were in the same hotel as us and we shared tables with them etc. So we were able to get to know Norman, who was two years into his time as MP for North Norfolk. My overall impression was, and is, that Norman is a very, very nice man. His spell in government, his very firm base in his constituency, his stand on mental health, and the dignified way he dealt with the publicity surrounding his family, all show that Norman is a very passionate and effective liberal. I have enormous respect for him. But at this particular time in the Liberal Democrats we need a rabble rouser as leader. Whatever Norman’s huge talents, he is not a rabble rouser. I should add that I know, from what he said as party President at a dinner at Hampstead Norreys locally a couple of years ago, that Tim has enormous respect for Norman and has based his whole behaviour as a local MP on the “Lamb plan” as operated for many years in North Norfolk. It is no accident that Tim and Norman are two of our remaining MPs – both in areas with Conservative-dominated histories.